Ann Smith started warning the city it was treading in dangerous legal waters before the landmark pension reform ballot measure even made the ballot. Now she has vindication. Plus: The worst tweet SoccerCity could see. And the actual legal issues in the Port vs. Airport feud. When the California Supreme Court ruled Thursday that San Diego acted illegally when its mayor championed a pension reform ballot measure in 2012, nobody was more vindicated than Ann Smith. Smith is the longtime lawyer for the Municipal Employees Association, the largest city employee union. In 2012, she sent the city letter after letter asking it to sit down and talk about the pension reform ballot measure that was coming together. The city never did. And the state Supreme Court just ruled that was a violation of the Miles Milias Brown Act. Smith was the one who had this insight six years ago. 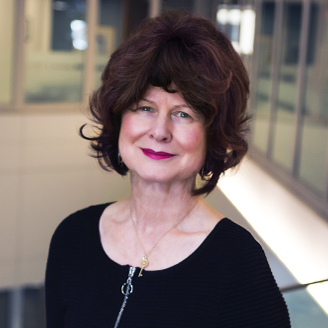 She had won at the Public Employment Relations Board, a quasi judicial agency set up to handle these disputes, but proponents of the measure sued PERB, and that’s the case that made it to the Supreme Court. Before the Supreme Court ruling, though, the Court of Appeal had ruled that the city had no obligation to meet and confer with unions to pursue changes to the employment conditions. It was a remarkable ruling. The city and defenders of the pension reform measure hadn’t even made that argument — it was well established that to make any changes to workers’ conditions and compensation, you had to meet and confer. The city does it all the time. The argument from the city and defenders of the initiative was just that they didn’t have to do it for a citizen’s initiative. And they said the mayor’s involvement in it was immaterial — he could do what he wanted. To Smith, the Court of Appeal ruling was terrifying. It would have upended labor law across the state and eviscerated the requirement to meet and confer. We called Smith. Here’s an edited version of part of our exchange. I am so gratified that the screwed-up politics of San Diego didn’t end up creating bad law or precedent for others around the state. It would have taken our bad outcome and spread it around as a new version of how the Miles Milias Brown Act is supposed to work. I’m prepared to lose if I can understand why and have a judge give us a reason — even if it’s stretched or strained. They gave us no explanation of this new interpretation. When that came out, it was like taking the nightmare violation of the law that occurred here in San Diego and declaring it to be lawful and spreading it around the state. You knew before the measure even passed that this was a major mistake on their part. I did. That’s why I kept sending letters. The city had an affirmative duty to come forward with negotiations. We had been bargaining over pension reform for years. 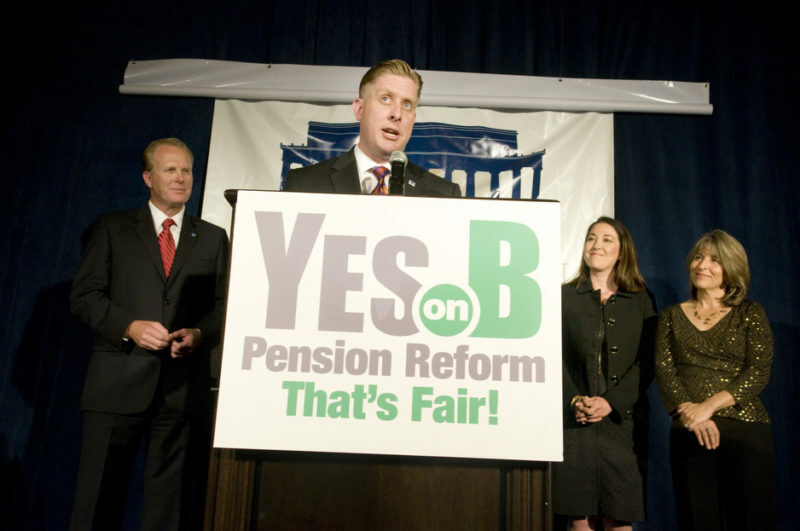 I stood next to Mayor [Jerry] Sanders and various Council members in 2008 and announced pension reform. We found proper compromise. Then in late 2010 the mayor decides he wants to do more, needs to do more. And he never even contacts us. Never asks to meet, never asks to see if any of the reforms would have any traction with us. That’s what was so personally frustrating for me. Until then, we were helping shape appropriate paths of reform through collective bargaining. I think the Court of Appeal will invalidate the measure for all the employee groups represented by unions and subject to meet and confer. I know it adds to the complexity but Proposition B would remain in effect for unrepresented employees. We noted a year ago that the road for SoccerCity was immeasurably hard considering just how many enemies it had collected. You can take on developers and business types but you better have the unions. You can take on the unions but you better have business types. You can take on neighborhood activists but … you get it. Unions helped kill the special election the mayor wanted last year to approve SoccerCity and his plan for a Convention Center expansion. But it wasn’t entirely clear which side they had taken. 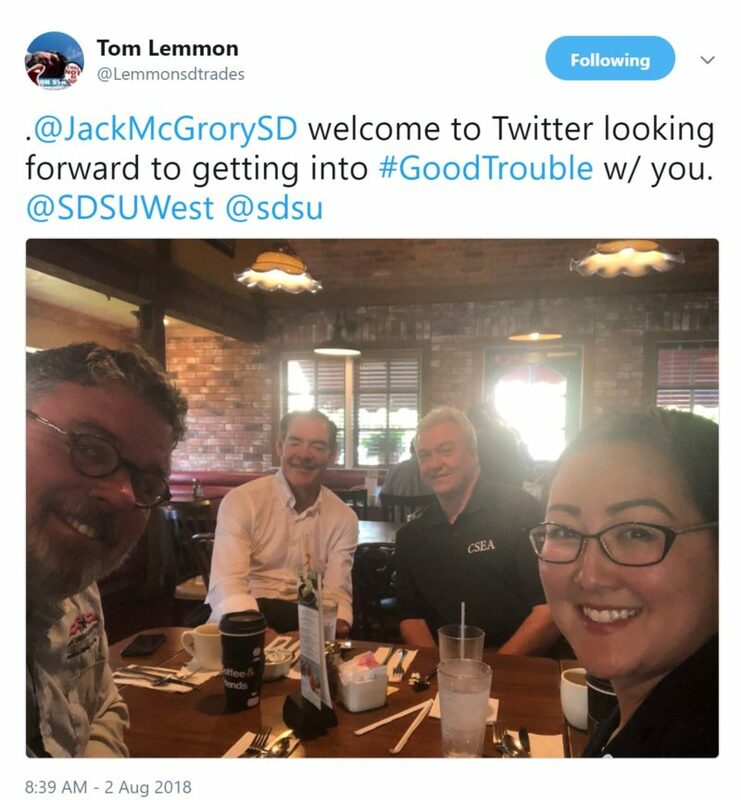 Tom Lemmon, the leader of the Building Trades Council tweeted this photo of his meeting with Carol Kim, the political director for the coalition of unions and Jack McGrory, the newly minted trustee of the California State University system and leader of Friends of SDSU. 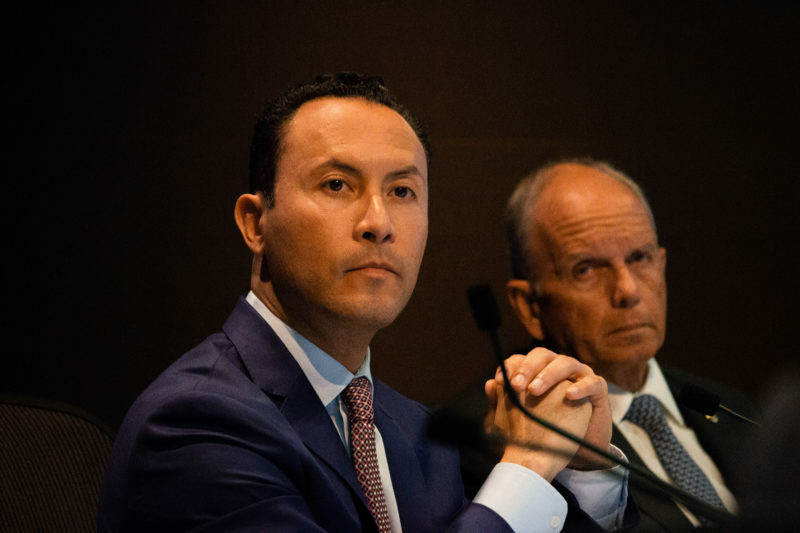 McGrory is perhaps the top personality in the effort to crush SoccerCity and replace it with a plan that would have the university in charge of developing the old stadium land in Mission Valley. Not sure what “good trouble” McGrory and the unions are cooking up but it’s not going to be good for SoccerCity. The airport this week joined a lawsuit by two rental car companies who alleged the Port was using an illegal tax to build a parking garage as part of a major redevelopment project on Chula Vista’s waterfront including a convention center, hotel, retail space and marinas. The airport’s involvement in the suit caused such an uproar, Assemblywoman Gonzalez scrapped a compromise bill she had settled on instead of a plan to force the airport to merge with the port. She pledged to re-introduce her original bill to merge the agency. There’s been a lot of talk about the politics, but what about the actual case? The legal issue: At issue is a $3.50 fee on rental cars on Port property. It would bring in $5 million a year and pay for a crucial $40 million garage for the Chula Vista bayfront. The rental car companies argue that the fee is really a tax, and therefore needs to be approved by two-thirds of voters in the Port’s jurisdiction. “The overwhelming majority of car rentals will not use the convention center’s parking facilities, and the overwhelming majority of cars that will use the convention center’s parking facilities will not be rental cars originating from car rental companies on Port Property,” the rental companies wrote in their lawsuit. This is an important point because the line between a fee and a tax is in whether the person paying it actually is using the benefit it provides. If you pay to stay at a reserved site at a campground, that’s a fee. But if there was a, say, $2 fee imposed on the sale of tents to pay for campgrounds, that would be a tax. At issue are a handful of state laws passed by ballot initiative that restrict the ways in which governments can pass taxes for public purposes. Proposition 13: Passed in 1978, Prop. 13 required that taxes dedicated to specific purposes – like parking garages – need to be approved by two-thirds of voters. Proposition 218: Passed in 2006, Proposition 218 solidified what had already been accepted case law – that special taxes are anything that go to a specific government purpose, and that general taxes need only a simple majority to pass. Proposition 26: Passed in 2010, Proposition 26 broadened the definition of a tax to include a bunch of things governments had considered fees. Fees are now limited to direct charges to use something – like a park entry fee – or a regulatory charge – like forcing a developer to pay for a permit. The Airport Authority didn’t take issue with the last time the Port used a rental car fee to build a parking garage. From 1999 through 2006, the Port used the same fee – when it levied the fee for Chula Vista, it was technically reinstating it – to collect $29 million to build a parking structure near the downtown Convention Center and Petco Park. A lot of people have pointed that out as a reason why the airport’s intervention now is so bizarre – it’s taken as evidence of discrimination against the South Bay. Why would the airport be OK with the old fee and parking garage downtown but now furious about the same fee for one in South Bay? 1) the Airport Authority was created in 2003 and, as part of that creation, authority for collection of any revenue on the Airport’s leasehold was transferred to the Airport Authority and 2) In 2016, many of the rental car facilities were consolidated from other tidelands onto the Airport. Those two changes are key to our concerns about the legality of the recent fee. She said the airport needed a seat at the table for this legal fight because it would determine the agency’s ability to collect fees. But her statement didn’t acknowledge something in the Airport Authority’s filing: The agency also made it clear it directly objected to the fee itself. Boling said airport and port officials met to try to hash things out. Got a tip or feedback for the Politics Report? Contact scott.lewis@voiceofsandiego.org or andrew.keatts@voiceofsandiego.org.